Age 90, went to be with her Lord on Monday, October 9, 2017. She was born on April 15, 1927 to Adolph and Julia Rogalla. Harriett married the love of her life, Frank Alfieri Sr in 1949 in Saugatuck, and raised a family while managing the family's blueberry farm, Alpine Farm in Grand Junction. After she and her husband retired, they moved to Seffner, FL and enjoyed many years there. Frank passed away in 2003 and in 2014, she moved back to Portage, to be closer to her growing family. No matter where she was, she enjoyed cooking, jewelry making, and socializing with family and friends. She loved to share stories and they always kept her family laughing. Harriett is survived by 5 sons: Frank (Jane) of Saugatuck, Mike of South Haven, Gary (Marcia) of Portage, Joe (Tomi Ann) of Portage and Jim (Jayne) of Seffner, FL; and 9 grandchildren and 11 great grandchildren. She was preceded in death by her husband; 4 sisters and twin brother. The family is planning a Celebration of Life memorial in 2018 during blueberry season in Michigan. 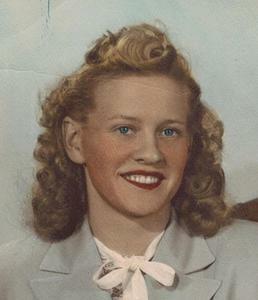 Visit Harriett’s personal webpage at www.BetzlerFuneralHome.com, where you can archive a favorite memory or photo of her and sign her online guestbook. Arrangements by Betzler Life Story Funeral Homes, 6080 Stadium Drive; Kalamazoo (269) 375-2900.